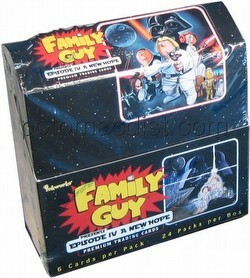 Based on the Family Guy episode "Blue Harvest," The Family Guy Presents Episode IV A New Hope set includes 50 cards. Inserts include a 9-card "A New Hope" foil puzzle set, a 9-card "Spaceships and Transports" foil die-cut set, a 6-card "What Happens Next" set, a 6-card "Scenes From Space" mix and match clear character and background scenery card set, a 3-card "Droid Chat" holographic foil set, and 1 "Evil Empire" foil case loader card inserted at a rate of 1 per case. An all-new trading card set based on the Family Guy episode "Blue Harvest." Timed to the January DVD release of this fan-favorite episode, Inkworks releases Family Guy presents Episode IV A New Hope Trading Cards, which finds Peter, Lois, Chris, Stewie, Brian and some of Quahog’s finest in the middle of George Lucas’ beloved science-fiction epic. Feel the Farce! With a retro look and hilarious fun, this 50-card set will be loved by “Family Guy” and “Star Wars” fans alike! “A NEW HOPE” - A nine-card puzzle that features painted artwork of Chris Griffin as Luke Skywalker, Stewie Griffin as Darth Vadar, and more! (9 cards - inserted approximately 1:7 packs). “SPACESHIPS AND TRANSPORTS” - Nine die-cut foil cards featuring the ships and transports from the show. (9 cards - inserted approximately 1:9 packs). “DROID CHAT” - Three holographic cards with the hilarious exchanges between Quagmire as C-3PO and Cleveland as R2-D2! 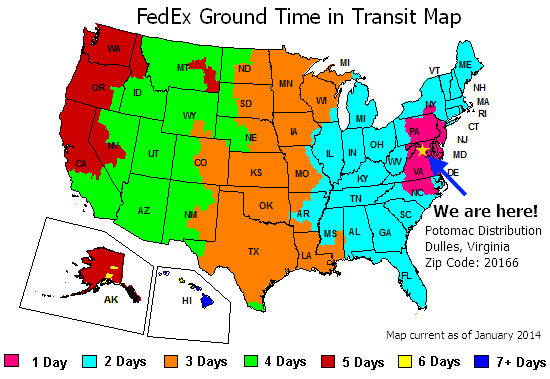 (3 cards - inserted approximately 1:23 packs). “EVIL EMPIRE” - One foil case loader cards. (1 card - 1 per shipping case).